PRIME LOCATION...Conveniently located in the Butler Road/Woodruff area with easy access to I-385 and Woodruff Road. Enjoy maintenance free living with lawn maintenance. Don&apos;t miss this rare find...Step into this immaculate, well-maintained town home offering lots of natural light. This beautiful 2-story end unit offers 3 Bedrooms, 2 Full baths, a half bath and is in the established community of Crescentwood Village. 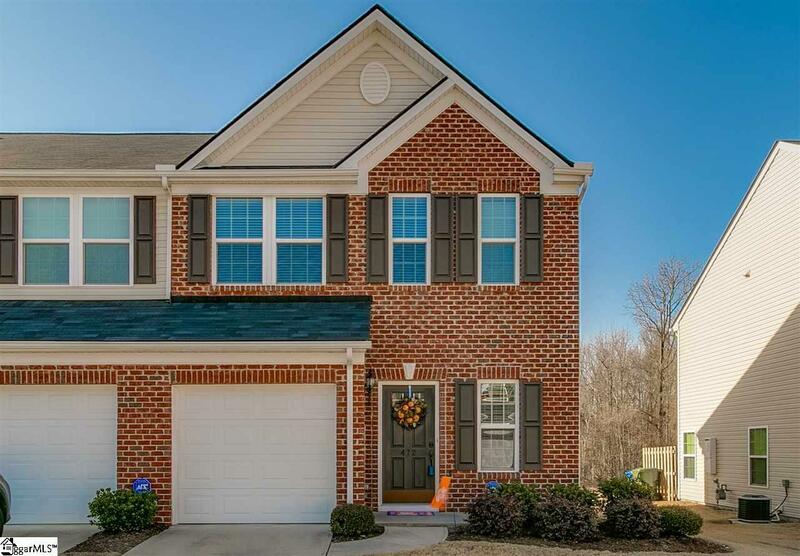 This open floorplan just built in 2014 boasts hardwood floors all throughout the first floor and is loaded with many extra features including a tankless water heater. The kitchen is complete with a large walk-in pantry, beautiful walnut cabinets, granite counter tops, stainless steel appliances, tiled backsplash, overlooking the great room and breakfast/dining area with lots of windows looking out to a peaceful, private level backyard and open patio. Upstairs showcases a master suite with two large walk-in closets and a ceramic tile, stand-up shower. The 2nd and 3rd bedrooms have access to the hall bathroom with tub/shower. Included is the washer and dryer. This Crescentwood Village community features a clubhouse and pool. Extra parking is found at the very nearby cul de sac.The HOA covers the lawn maintenance, termite bond and trash. Schedule your private showing...This won&apos;t last long!